As the result of his longtime interest in math and physics, Peter Mintzberg began his education pursuing an engineering degree. His world expanded, however, when he received an educational grant from the Estudar Foundation to attend Harvard Business School in the late 1990s. Mintzberg has always admired people who give back once they’ve succeeded, and he considers Brazilian investor Jorge Paulo Lemann—a founder of the Estudar Foundation, and the controlling shareholder in Anheuser Busch InBev, the largest brewery in the world—to be the biggest influence in his professional career. “In addition to the foundation having made it possible for me to go to Harvard, Lemann has a business philosophy that I follow: A big dream requires the same effort as a small one, so dream big!” Mintzberg says. 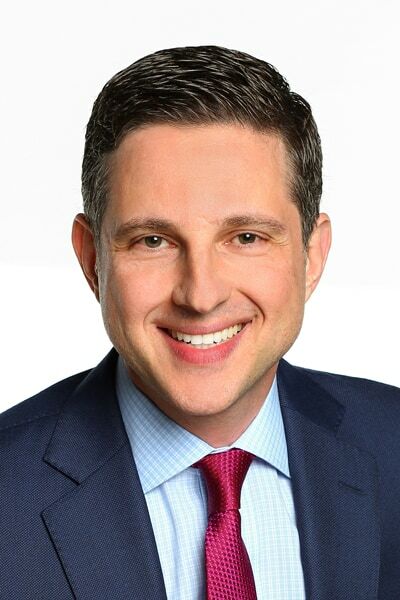 That philosophy has led to Mintzberg working in the major financial centers around the world and, ultimately, to OppenheimerFunds, where he is chief strategy officer and global head of corporate development, and is informally known as the deal-manager-in-chief. Mintzberg spoke with The Alumni Society to explain the lessons he learned from his experiences and how they continue to impact his career. What has been the defining moment of your career? That would be the time I spent at Harvard Business School. I was there with a diverse group of people with incredible backgrounds and experiences. They helped me develop a much broader worldview, an appreciation of what’s possible, and a mind-set of excellence in everything I pursue. Also, this was in the late 1990s during the first wave of people tapping into the potential of the internet, so I was exposed to other students who didn’t just want to get good jobs after they graduated. They wanted to change the world with the projects they were working on. It was a very inspiring environment and I was very lucky to be there. What’s the most important lesson you’ve learned from having worked in so many different regions of the world? It’s not a specific lesson, but working in so many different financial capitals gave me an ability to understand and appreciate many different personalities and ways of doing business. That’s very important, because, contrary to what many people believe, M&A—one of my responsibilities—has a very large social component to it that goes well beyond just crunching numbers. In addition to assessing whether a potential acquisition is an appropriate cultural fit, personalities play an extremely large role in negotiations. For example, for one seller, getting the highest possible price might be the primary concern. But for someone else, longer-term issues like their cultural compatibility might be just as important. The true motivations of the people across the table are often not expressed directly, so you have to be able to intuit what drives them in order to structure a deal that satisfies everyone. Once I recognized how important social aspects are in the life cycle of any deal, I was able to adapt very quickly. What’s the biggest challenge that Latinos in finance face? Funds, where we have the Latino Professional Network along with other business resource groups. It’s all about attracting quality employees and supporting them by providing educational forums, access to senior leaders, and mentorship opportunities. To what behavior, personality trait, or skills do you most attribute your success? That would be my intellectual curiosity and analytical skills, which have been evident most of my life. My intellectual curiosity manifested itself through my efforts to always continue learning—whether it was traveling and getting to know different cultures, learning different languages, playing chess competitively, or in academia. I believe that people who succeed in business and in life are constantly seeking to educate themselves. Those interests and abilities come into play in the M&A world where we are always on the lookout for companies that are underperforming and can be considered diamonds in the rough. You have to have that curiosity and analytic ability so you can identify critical characteristics or data that other people are missing. It goes back to the idea of dreaming big. I wish I had been consciously aware of that sooner. When you set a very high bar for yourself and for your team, it’s a great motivator and gets the best out of everyone. Even if you’re not successful getting the brass ring—which is different for every person—it makes the journey significantly better. You end up achieving things that you never would have thought were possible otherwise, like studying at Harvard or becoming the owner of the largest brewing company in the world. Even now, I have a great position, but I think I can do more in the future. Who knows? I think I’m on track, but it’s a journey, so only time will tell. 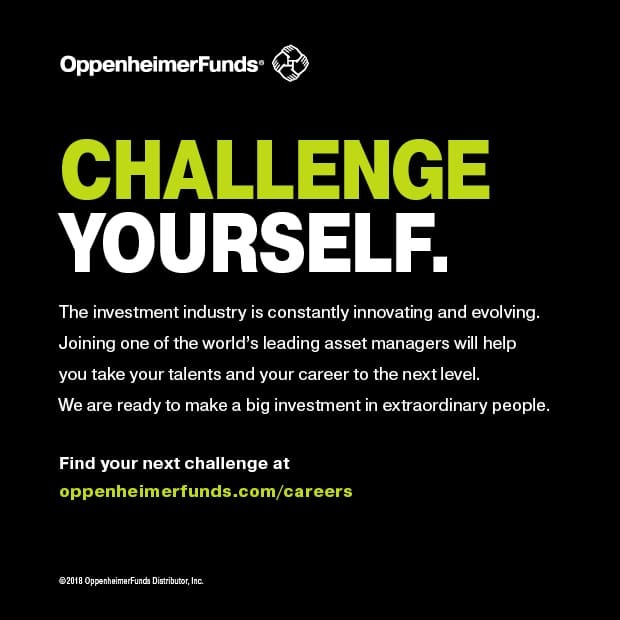 OppenheimerFunds congratulates Peter Mintzberg for being named a member of the Class of 2018 Financiers’ group. Thank you for your continued leadership, commitment, and strategic insight as we approach 60 years serving our clients.